Hiring new employees is often a long and intricate process, especially when searching for a candidate with specific or high-level competencies. Though job databases and hiring agencies can assist in filtering out the best possible professionals for the job, it still involves substantial time and work to compose applications, meet with possible candidates, hire them, and get them started on their on-boarding journey. Forbes has noted these ̶ among other ̶ common pains and have declared that the structure of the hiring process is changing altogether. It’s also worth mentioning that some proficiencies and skills are harder to find in candidates, leading to more competition for the company looking to hire. If we look specifically at the IT, data analytics and BI fields, candidates with high expertise in data architecture, management and maintenance are often scooped up fairly quick. Though your business might not be primarily focused on the IT or BI sector, there’s a good chance you are utilizing mass amounts of data to make business decisions and help your company run smoothly. Data is the foundation for many businesses to analyze and evaluate their strategy, while also keeping record of important customers and product information. For this reason, any and every company can benefit from a well-built data architecture system, which most likely will be managed by a skilled employee. Even if you find a rock star Solutions Architect, one who is able to code on a dime and work with multiple data platforms, they are often limited by the time it takes to produce such results. Many companies think that this case would just call for hiring another employee to help out with the work load, but then you’re back in the time-sucking hiring process once again. Well, what if I told you that I knew the perfect employee for your company? How do I know what’s best for your company, you might ask? No, I’m not a psychic, just well connected. Let me introduce you to a world-class employee, one that works 6 times faster, doesn’t take any vacation days, never gets sick and makes every BI, IT and analytics team a dream team. Meet … well, re-meet Discovery Hub®, your newest employee! 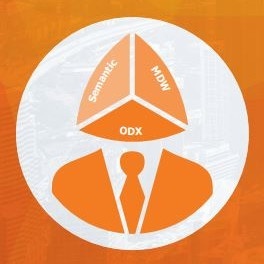 We have always thought of our platform as a key player in the TimeXtender lineup, and we would like nothing more than to share the abilities and competencies of Discovery Hub® with other fast-growing and ambitious companies.TimeXtender’s Discovery Hub platform has always seemed much more than just a platform or a piece of software to us. We like to think of Discovery Hub® as a member of our team, an ever-progressing partner that maintains a high level of connections and consistently delivers impressive automated results for ourselves and our customers. Discovery Hub® is a data expert with 12 years of best practice experience gathered Discovery Hub® can be seen as a data-driven, productive professional and the one employee every company needs. Discovery Hub® is the be-all and end-all in data analytics and is the Senior BI Developer, Data Architect and Solutions Architect organizations dream of. Want to know more about your newest partner, Discovery Hub®? his expertise and ability to give every business the gift of instant data access and quality analytics.